The Zeeland trip is a household name among the KiteFEELers. Every year this trip is a big succes! Old KiteFEEL students learn how te kitesurf or learn new tricks! Zeeland has many beautiful kitesurf spots for us kiters! Take for example the Brouwersdam. A large beach with great water nearby Renesse and Ouddorp. Or the Grevelingendam. A great spot with nearly everywhere low flat water. Just perfect! 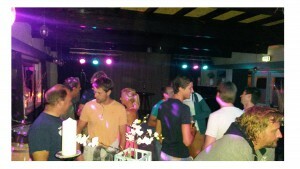 Saturday and Sunday you receive a nice powerbreakfast buffet. Friday and Saturday we also take care for the diner. So, you can kitesurf all day, jump into the warm swimmingpool and eat without cooking! In the evening, we use the video images that were created during the day. We evaluate the images to increase your level this weekend! 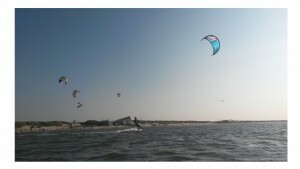 The kitesurfing holiday is located in luxury homes in Renesse. The houses have multiple bedrooms, bathrooms and toilets. So you have more than enough privacy. You can also use the heated swimming pool. -lots of fun and plenty of kitesurfing with other enthusiastic kiters!